A collaborative project funded by the Grundtvig Foundation and focused on older people and independent living is bringing together representatives from Poland, Italy, Sweden and the UK. 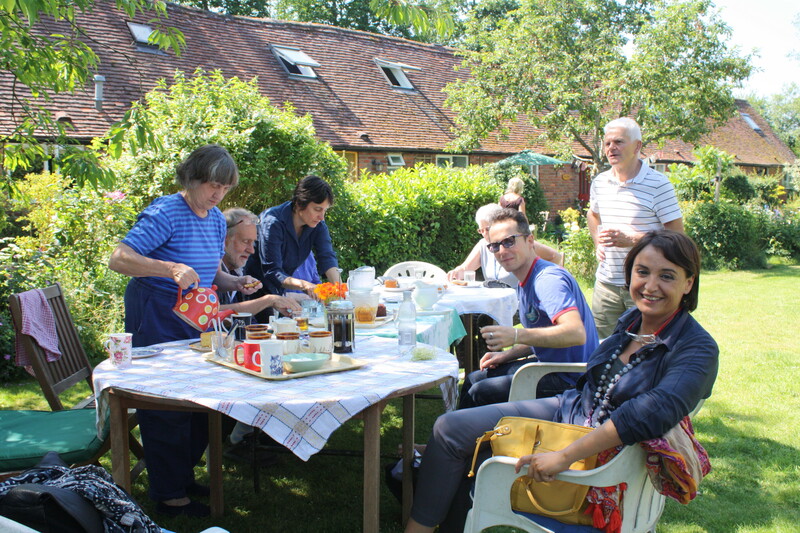 15 participants met in July at the Community Project in Sussex, a trip organised by the UK Cohousing Network because of a shared interest in senior cohousing. A feature of the weekend was a trip to the Threshold Cohousing Community in Dorset (above), where the community was holding an ‘open day’. Two residents talked about their experience of life in the group and also gave a tour of the property. Back in Sussex, three OWCH members gave an account of the development of their group. The next time the group meets will be in Sweden, in February 2014, where they will also tour cohousing communities. The essence of the Grundtvig project (called ‘Co-EldeRly Project) is to explore different national approaches to independent living among older people with high support needs. Both the Swedes and the Brits take the view that this group of people would not embark on cohousing, but that individuals age in place in cohousing who may develop high support needs. We see senior cohousing as a way of preventing or delaying dependency and primarily focused on the ‘young-old’. Cohousing is not known in Poland – the interest of our Polish colleagues is in lifelong learning and the University of the Third Age is widespread there. There is a vigorous cohousing movement in Italy, but, strangely enough, our Italian partners came here to learn about it. A connecting theme pulling the Grundtvig project together is that of ‘mutuality’ along a spectrum, beginning at one end with small scale initiatives among the old such as friendship circles, telephone rings or time banks. At the other end lies the cohousing model. When the study trips to Sweden and Poland are complete, sometime in 2014, a final report will be produced illustrating the various ways that old age and independent living may be addressed.